The 2018 U.S. Open is now behind us, and as usual it left us with plenty to talk about. There’s so much to dissect, in fact, from a two-week tournament featuring 256 combined men’s and women’s players, that it’s best to simply break it down into points. This is why I wrapped up the 2017 Open with 10 main takeaways, and in this piece I’ll do the same for the tournament that wrapped up last Sunday. As with the 2017 piece, these points are listed in no particular order. 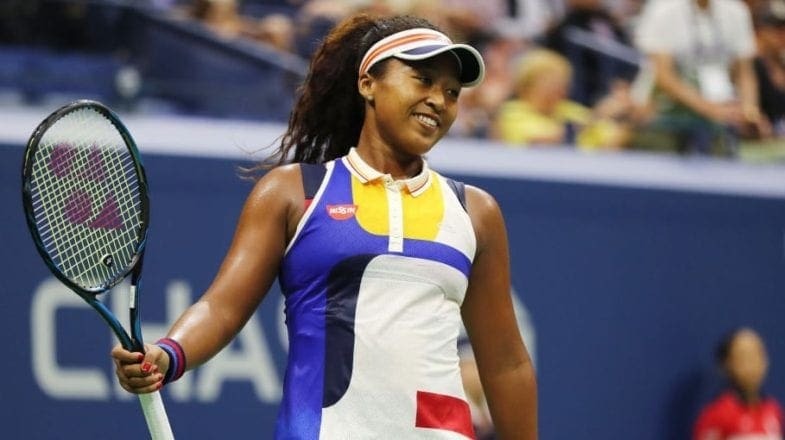 I want to start here because Naomi Osaka’s U.S. Open win was marred by drama. So for just a moment I want to focus solely on her. The 20-year-old had been flashing some big match ability for a year or so heading into this tournament, and wouldn’t have been a bad pick for a deep run. But it wasn’t clear she was this good, or this ready. Osaka virtually destroyed the entire field, losing a combined 14 games across her final three matches (or about 2.3 per set). That this final run included wins over savvy veteran Carla Suarez Navarro, up-and-comer Madison Keys, and Serena Williams was all the more impressive. Osaka dominated this tournament, and in time it will sink in that she beat the GOAT for the U.S. Open title at 20 years old. The sky’s the limit. This was a fairly easy Grand Slam for Novak Djokovic. His run from the fourth round on consisted of Joao Sousa, John Millman (who upset Roger Federer), 21-seed Kei Nishikori (who hasn’t been relevant in a Slam in a while) and 3-seed Juan Martin del Potro. Del Potro is no pushover, but things definitely opened up for Djokovic. Even so however, you can only beat the players in front of you, and this win coupled with his Wimbledon triumph and a few recent wins over Nadal and Federer leave no doubt: Novak Djokovic is back at the peak of his powers, and could be in the midst of a dominant stretch. Two significant players who have been largely missing from the tour were active in this U.S. Open: Andy Murray and Victoria Azarenka. Murray has missed time with numerous injuries, while Azarenka gave birth to her first child late in 2016 and has been on a long, slow road back. Neither player made much of a dent (though Azarenka had some impressive moments), but seeing them both back in action was a reminder that there are some potential contenders lurking for 2019, if they can get back to full strength. 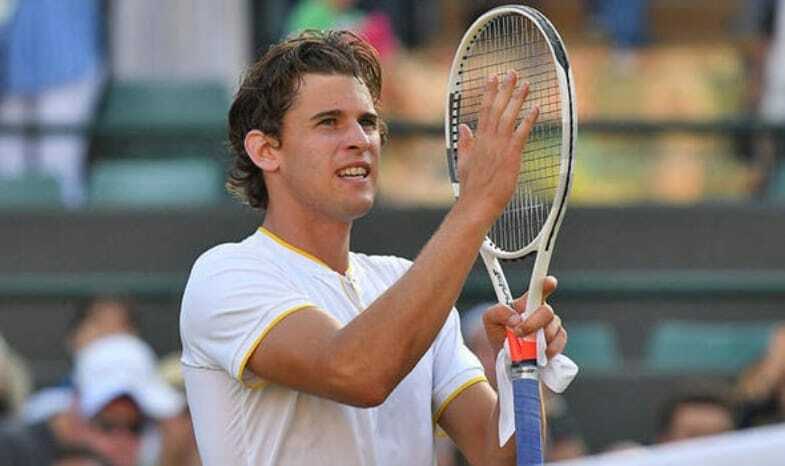 Commentators have been suggesting Dominic Thiem could be a future Slam winner for years now, and in this tournament more than any other, he showed it (despite having already reached the French Open final). Thiem’s match against Nadal in the quarterfinals, going shot for shot in a five-plus hour marathon in high humidity in Arthur Ashe Stadium, was the stuff of champions. It was a match worthy of Federer and Nadal’s prime duels, and left no doubt that Thiem will be hoisting Slam trophies in short time. Here’s the status of the WTA’s contenders: Serena Williams clearly has what it takes to win more Slams, but has been inconsistent in her return; Simona Halep has mostly held #1 since Williams’s maternity leave, but lost in the first round at the Open; Angelique Kerber may be the most consistent contender not named Williams, but is no sure thing for deep Slam runs; Sloane Stephens flirted with a repeat but couldn’t finish the job; Madison Keys continues to hit her head on the Slam ceiling; Osaka looked unbeatable, but had previously never passed a Slam’s fourth round. There are a lot of great players, but no one even resembling an alpha – which should make things interesting heading toward 2019. Because Grand Slam tournaments invite fans to migrate from court to court, and because there are people from everywhere in New York, allegiance can be unpredictable at this tournament. For instance, in the second round John Isner completely lost his cool and nearly blew a match to unseeded Chilean Nicolas Jarry when an unexpected contingent of enthusiastic Chileans took over the Grandstand court. It can seemingly happen at any point, though one player has begun to attract this kind of following more predictably: Juan Martin del Potro. He in fact inspired a similar, Argentine takeover of the Grandstand in a 2017 marathon against Thiem, and the buzz carried over to this year. Del Potro now earns Federer-esque adoration at the U.S. Open. He’s earned it. This was truer on the women’s side than the men’s, but from the quarterfinals on we saw a lot of blowouts – which obviously isn’t ideal. Thanks in part to Nadal retiring from his semifinal against Del Potro, the men played only eight total sets in the semis and final. And the women didn’t have a single match go to a third set from the quarterfinals on. “Young” is tougher and tougher to define in tennis, but four men under 25 made sense to watch closely heading into this tournament: 4-seed Alexander Zverev, promising American Frances Tiafoe, rapidly rising Greek Stefanos Tsitsipas, and somehow-still-23-year-old Nick Kyrgios. These four will all be okay, but none impressed this time. Instead, it was a handful of less heralded young men who proved headline-worthy. 21-year-old Borna Coric made a convincing run to the fourth round before being summarily dismissed by Del Potro. 19-year-old Australian Alex de Minaur destroyed Tiafoe in the second round and took 7-seed Marin Cilic to a dramatic five sets. And heavy-hitting 22-year-old Karen Kachanov gave Nadal everything he could handle in a thrilling third round match. Add these three to the list of guys to keep an eye on in 2019. Many will be tempted to write off Nadal and Federer after this tournament. Federer has had a so-so season since Wimbledon and suffered an embarrassing upset in New York. Nadal had to claw his way to some tough wins over Kachanov and Thiem before finally succumbing to injury, which seems like a matter of time whenever he regains the top spot in tennis. But as far as we know, Nadal’s injury isn’t too serious. We also know that at his age Federer is clearly better early in a season, after more rest and training, than toward the end of it, after playing out a grueling schedule. Barring physical setbacks, both guys should be legitimate threats at the World Tour Finals this November and heading into Australia next January. Unfortunately, the Serena Williams controversy sort of hijacked the Open, which is why I left it for the end. In case anyone missed it, Williams was penalized for receiving coaching during the second set of the women’s final. This led to a series of arguments with chair umpire Carlos Ramos, who ultimately docked her a point and then an entire game. It effectively decided the match, leading to a cascade of boos that robbed Naomi Osaka of a proper championship moment. It was an ugly scene, and one that has everyone trying to parse out who among the involved parties deserves blame. My take is that Serena Williams was both wrong and wronged. She was wrong in that she completely lost her composure and got caught up accusing Ramos of attacking her character and demanding an apology to the point that she ruined her own chances at getting back on track in the match. It was made worse by the fact that her coach casually admitted to the initial infraction, which wasn’t on its own a huge deal. 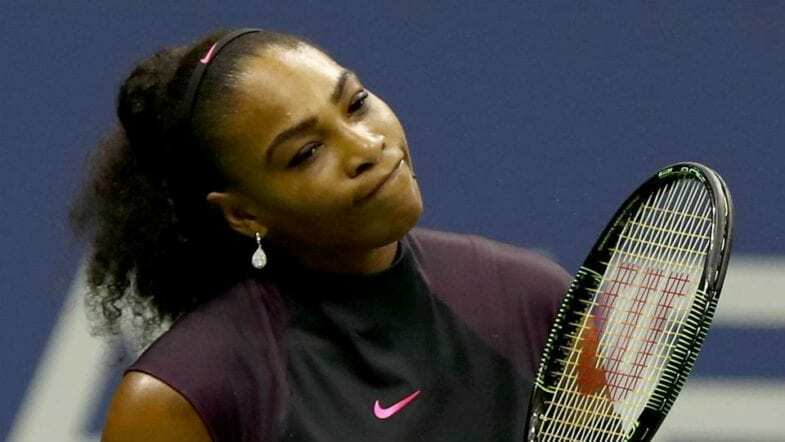 While Williams behaved regrettably however, hers was far from unique among tennis tantrums, and should therefore not have earned unique punishment. Docking a game in a championship match was within the rules, but still an extraordinary move by Ramos, and one that hinted at a double standard and tipped the scales. It was unfortunate all around, and my opinion is that Ramos shouldn’t preside over a major match for a while. That said, the controversy shouldn’t overshadow another exciting U.S. Open. Congratulations to Naomi Osaka and Novak Djokovic.